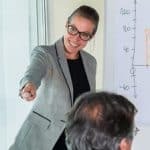 NOTE: This is the first in a series of blog posts that detail how to build a successful internal coaching practice in your company. Internal coaching offers a great means for developing leaders deeper and wider in organizations — instead of depending on external coaches or programmatic elements to meet growing needs. And the business case is compelling: For every internal coaching engagement, an organization can save between $15-50K depending on the type of coaching that is offered. In addition to the cost savings, the organization gains added capability created by training internal coaches, whether they are HR professionals or come from business or other functional areas. This added capability is seen at two levels: within internal coaching engagements specifically, and in the impact that internal coaches have in their day-jobs. But before you get started, it’s best to step back and create a strategy and road-map for maximizing the investment in developing internal coaches. What are the critical business and talent management objectives where coaching could help accelerate meeting important deliverables, whether it’s investing in the development of more leaders, or helping leaders to hit business goals more quickly by showing up more effectively? This question gets at the most important criterion for creating internal coaching support. If it doesn’t make an impact on the business, then it’s probably not worth doing. Leading and managing internal coaching efforts is a labor intensive process, so planning for a gradual start-up not only helps to ensure early success but also helps build a stronger business case and more “pull” for developing and implementing internal coaching efforts. What are the gaps that internal coaches could address? Would internal coaching provide adjunct support to already existing leadership programs? What about providing internal debriefing capability to support 360 or other assessment instruments that the organization regularly uses? Is there valuable rising talent that could benefit from additional coaching support at levels below the typical target audience for external executive coaches? Is your organization focused on diversity initiatives and wanting to provide additional development opportunities to specific groups such as women, people of color, or leaders in cross-cultural environments? This is about choosing where to implement internal coaching initially, and teeing up the kinds of partnerships needed to ensure success. If the starting point is a leadership program, a tight partnership with the program owner is needed — not only at the outset but also all along the way — to ensure that the internal coaches understand the content of the program, and that the way they are deployed supports the primary goals of the program. Quick side note: Many years ago when I first started down this path at Wachovia, Cambria’s managing partner, Ellen Kumata, advised me to start small. I quickly learned that this was wise advice in general and specifically in the context of this work. It makes all the difference to begin with a single important target audience, with specific objectives for the coaches to support coaching client. Taking on too much too soon is a surefire recipe for failure. If the starting point is a specific audience of key talent, partnering with the talent management function and/or HR will be critical to ensure that internal coaches are deployed wisely. In my prior experience leading external and internal coaching for Wachovia, we initially deployed internal coaches in the bank’s high-profile high-potential development program that was being offered to key leaders. This internal “executive ed” program also leveraged a competency-based 360 assessment that supported the coaching. We trained the internal coaches on what coaching is (vs. their day jobs) as well as the skills and process of debriefing the assessment and providing 6 months of individual coaching support to help participants craft and implement a development plan tied their assessment results and the main lessons in the program. Another important point: treating the internal coaches as a precious resource — carefully utilizing them in support of the appropriate audiences of leaders — helped to ensure that the designated internal coaches were well-respected and worth the investment. To pave the way for internal coaching to serve broader HR initiatives, plan to get input from those stakeholders on what’s needed, what would be a deal-breaker, and how best to address their needs and concerns. How much do they know about coaching and how it can be used? What education and support will they need to make this more than just another “solution du jour”? In my experience, when you have the HR community behind the effort (e.g., if they feel that their lives will be easier and their clients will benefit), momentum for this work really takes hold. So pay attention to the marketing, education and communication needed to make this work. Ask yourself: What will the partnership look like between the person who “owns” internal coaching and the HR community and their business/functional clients? Beyond these initial partnerships, are there executives in your organization who are advocates for coaching and its benefits? How might you and your HR partners leverage these advocates to get internal coaching off the ground, especially if it’s targeted at a broad population of key talent vs. participants in a specific program? Deploying internal coaches into a few influential areas of an organization is often a way to light many fires around the notion of internal coaching, and this energy then accelerates the success of the entire internal coaching process. In our next blog post on this topic, Krisann Davis will address the issues involved in building your internal coaching capacity. 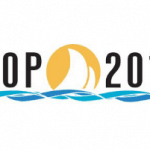 Look for us at SIOP: Cambria is on the roster at the annual conference of the Society for Industrial and Organizational Psychology (SIOP) in Philadelphia, which runs from April 23-25. I am running a Master Tutorial session on Saturday, April 25 — along with my Cambria colleagues Ellen Kumata and Lori Collins — that will explore the evolution of coaching, specifically how coaching increasingly is critical for achieving important business outcomes. Hope to see you there!